Watercolour painting; signed and dated. View of a factory building at Brimscombe in Gloucestershire. The tall, narrow building sits at the foot of a hill on the edge of a meadow in which cattle graze. A large willow tree in the left foreground indicates the presence of water. 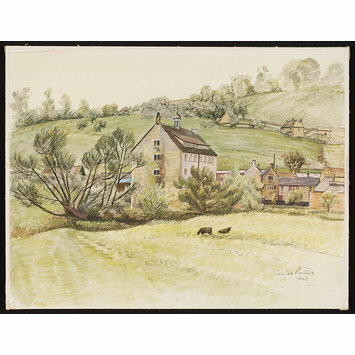 Watercolour by Louisa Puller, 'Brimscombe Factory, Nr. 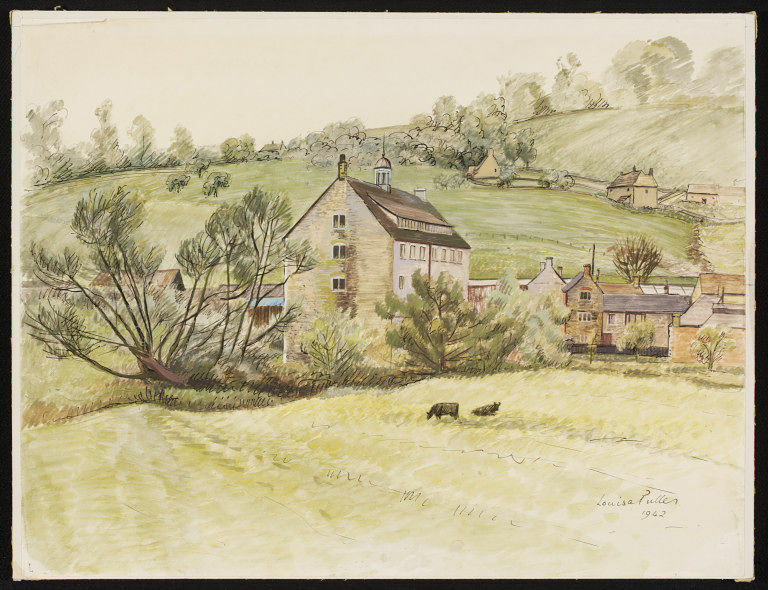 Stroud' from the Recording Britain Collection (Gloucestershire); England, 1942.